Early Years (1) & (2), Phoenix Records PHX 1004 & PHX 1005. 1. First pressing, release July 17, 1981. Phoenix Records is a division of Audiofidelity Enterprises (UK). 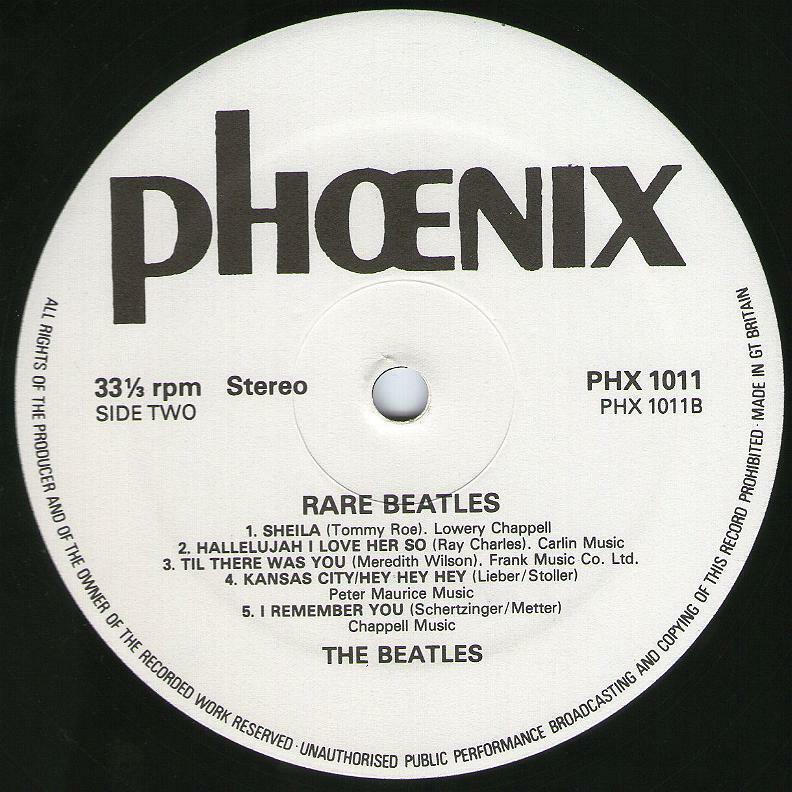 Phoenix Records was founded in the late 70s as a budget label. 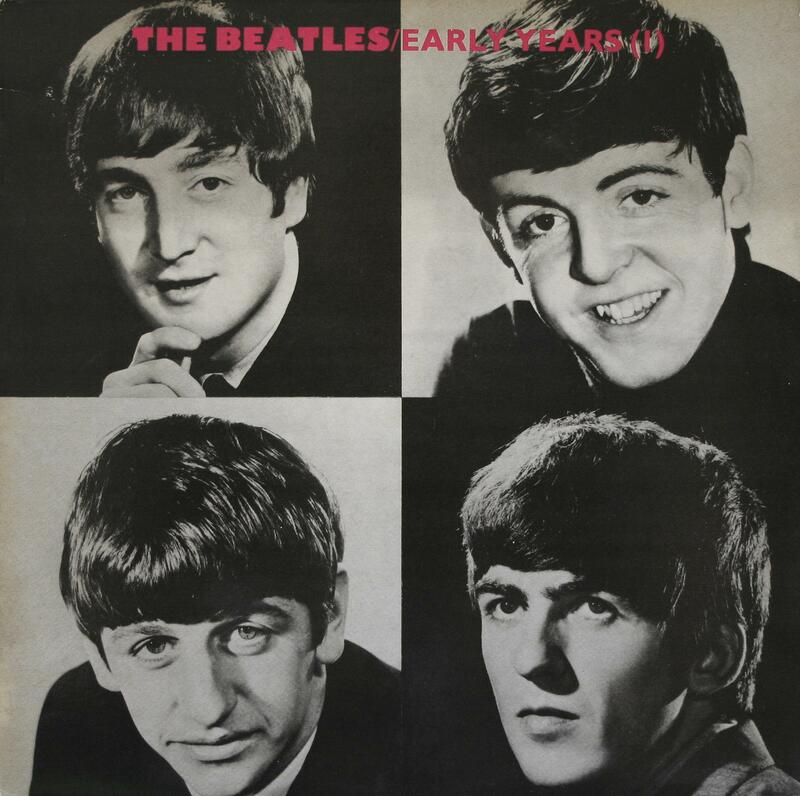 Both albums contain tracks recorded by Ted Taylor at the Star Club in Hamburg, in December 1962. For the covers design was used photos by Dezo Hoffmann. 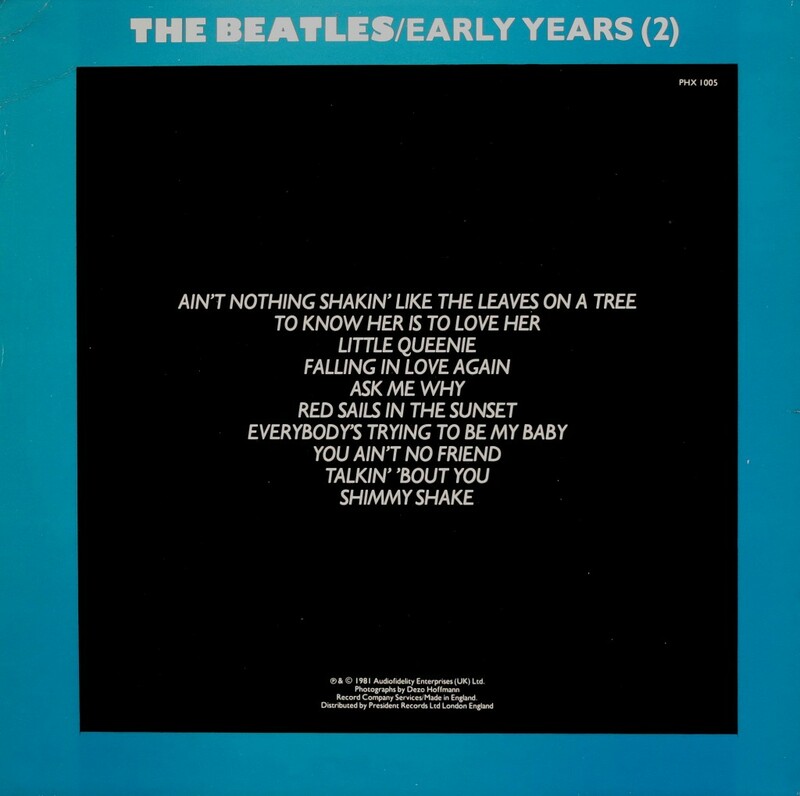 The first pressing of albums have the sleeves with the same black-and-white photos of John, Paul, Ringo and George are located on the red (Volume One) and blue (Volume Two) backgrounds. 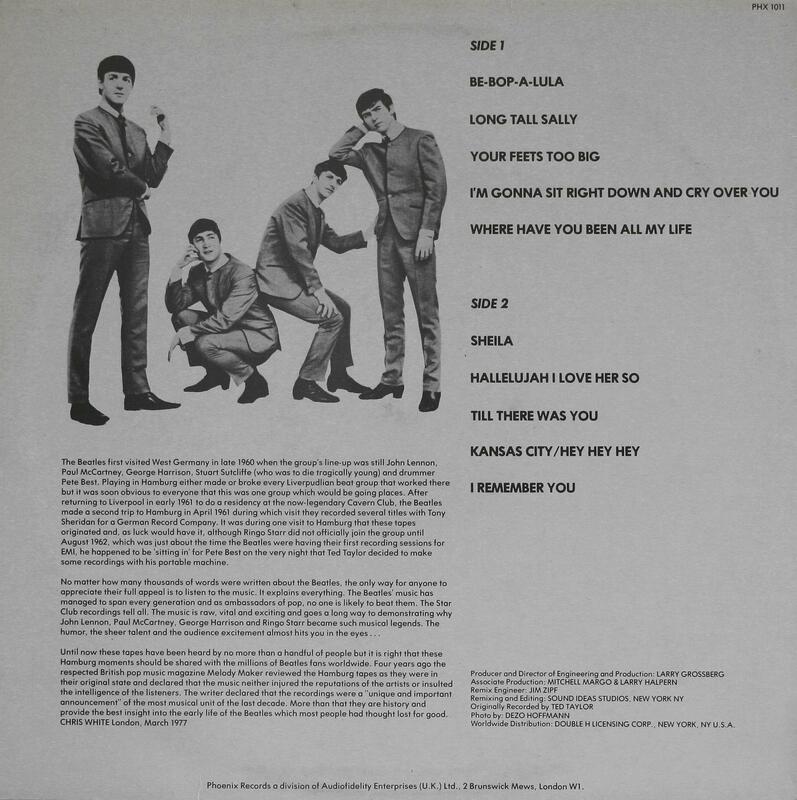 Back sides include a track lists sleeves, white print on a black background. First pressings have a white labels with black prints. Rimtext on labels the wording is: “All Rights Of The Manufacturer Of And The Owner Of The Recoded Work Reserved Unauthorised Public Performans Broadcasting And Copying Of This Record Prohibited”. “Made In Gt. Britain” placed at the bottom of the labels. 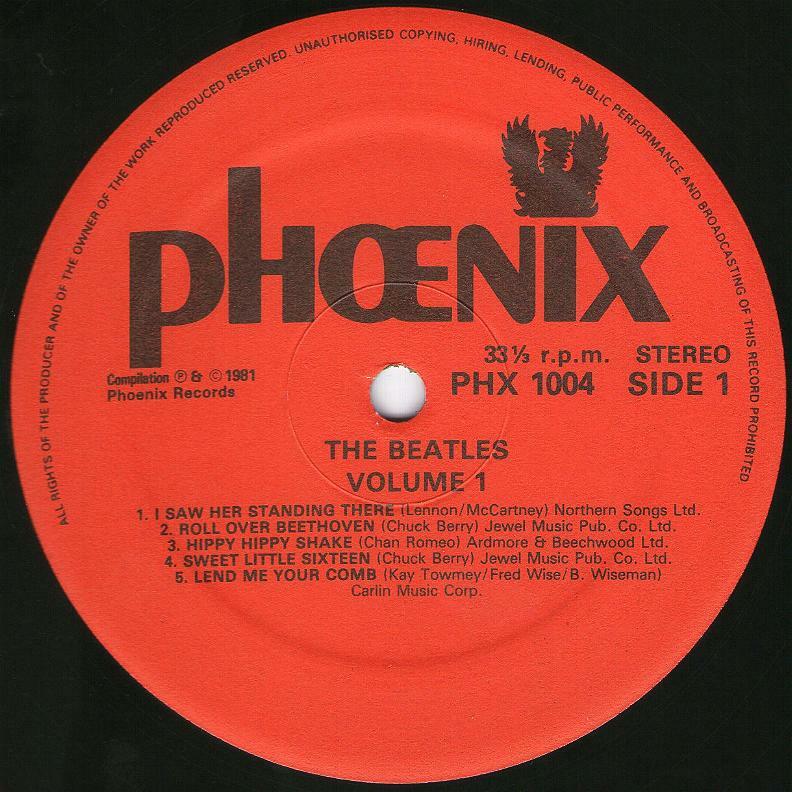 Matrix numbers: Volume One: PHX 1004-A / PHX 1004-B; Volume Two: PHX 1005-A / PHX 1005-B. 2. 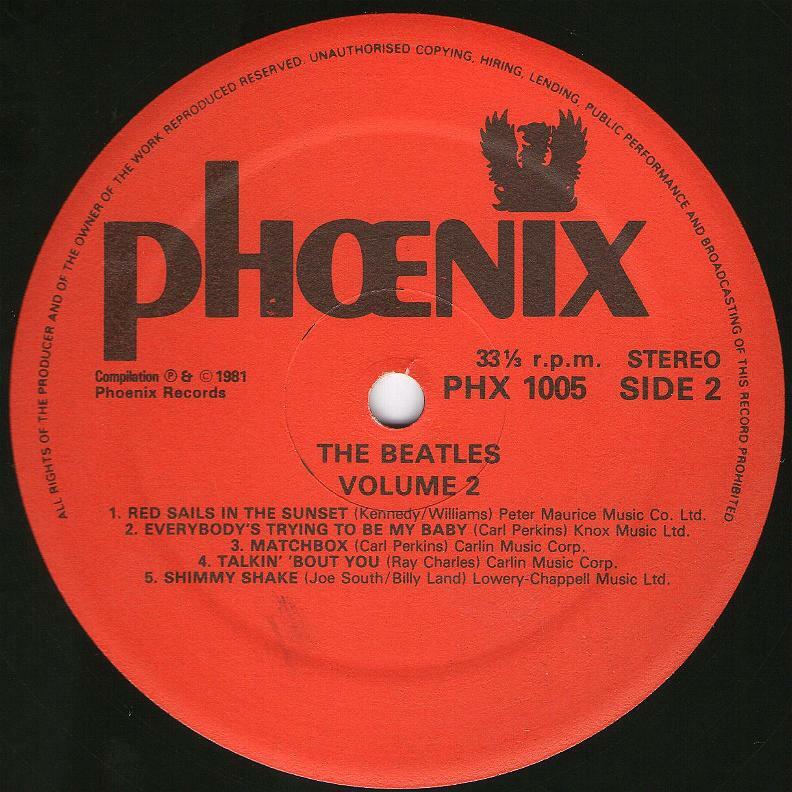 Second pressing, 1983. 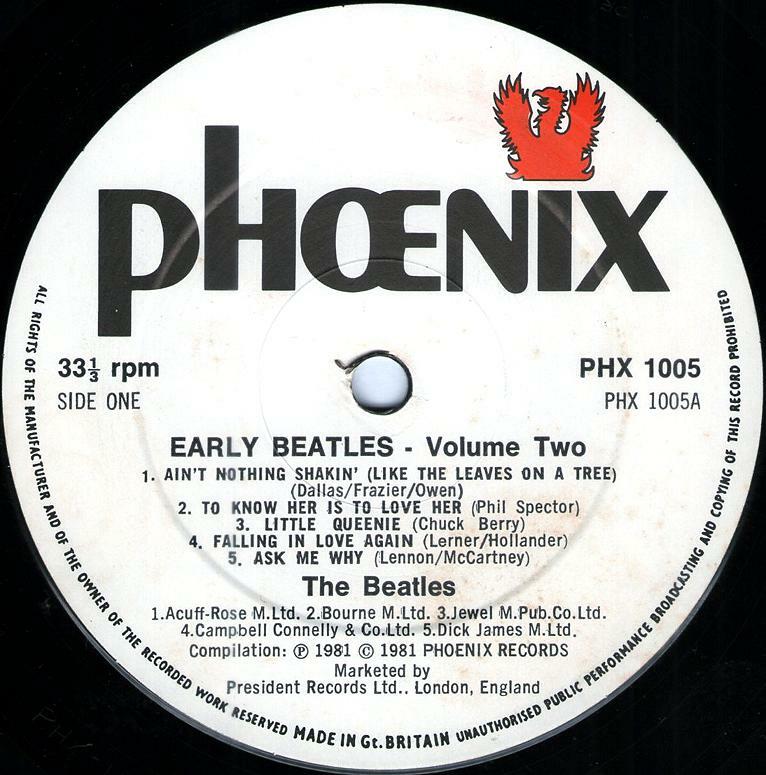 All subsequent pressings have a black-and-white sleeves without backgrounds, but with red (Volume One) and blue (Volume Two) titles of the albums over the photos. Records have a red labels with black prints. Rimtext on labels the wording is: “All Rights Of The Produced Of And The Owner Of The Work Reproduced Reserved Unauthorised Copying, Hering, Lending, Public Performans And Broadcasting Of This Record Prohibited”. 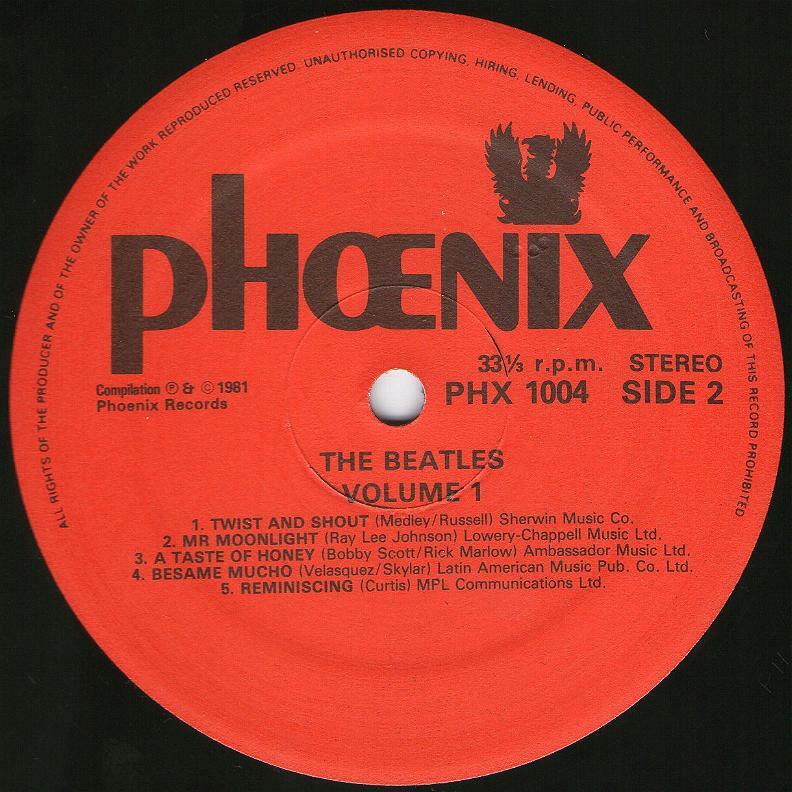 Matrix numbers: Volume One: PHX 1004-A / PHX 1004-B; Volume Two: PHX 1005-A / PHX 1005-B. 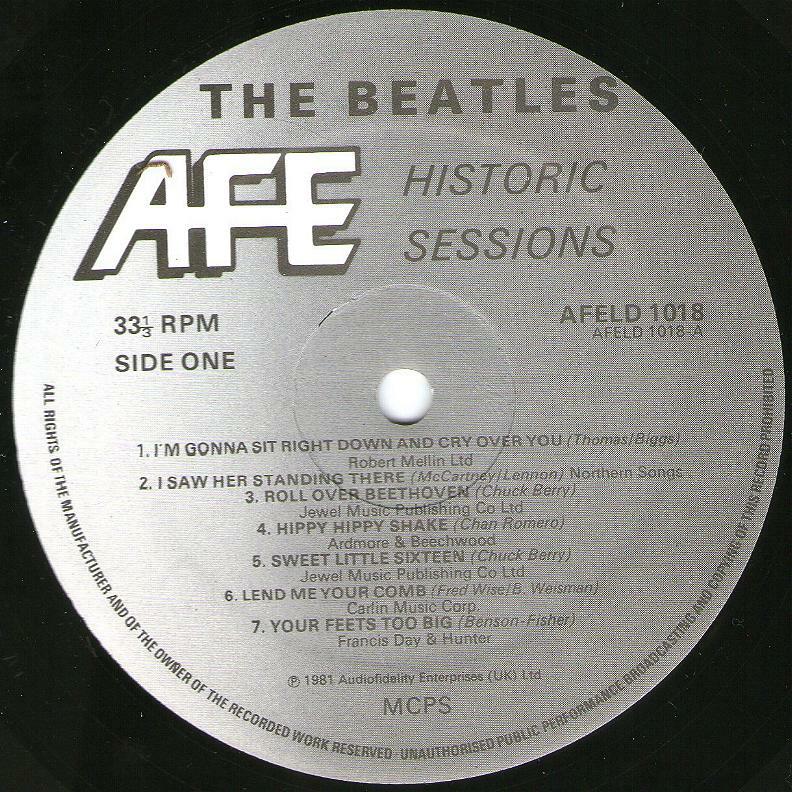 The Beatles Historic Sessions, AFE Records AFELP 1018. Audio Fidelity Records, was a record company out of New York City, most active during the 1950s and 1960s. They are best known for having produced the first mass-produced American stereophonic long-playing record in November 1957. Sidney Frey (1920–1968), founder and president of Audio Fidelity, had Westrex, owner of one of the two rival stereo disk-cutting systems, cut a stereo LP disk for release before any of the major record labels, several of which had the Westrex equipment but had not yet produced a stereo disk. Audio Fidelity, Inc. was founded in 1954. A British branch, AF England, Ltd., Was established in 1959. Sidney Frey sold the company to Herman Gimbel around 1966. 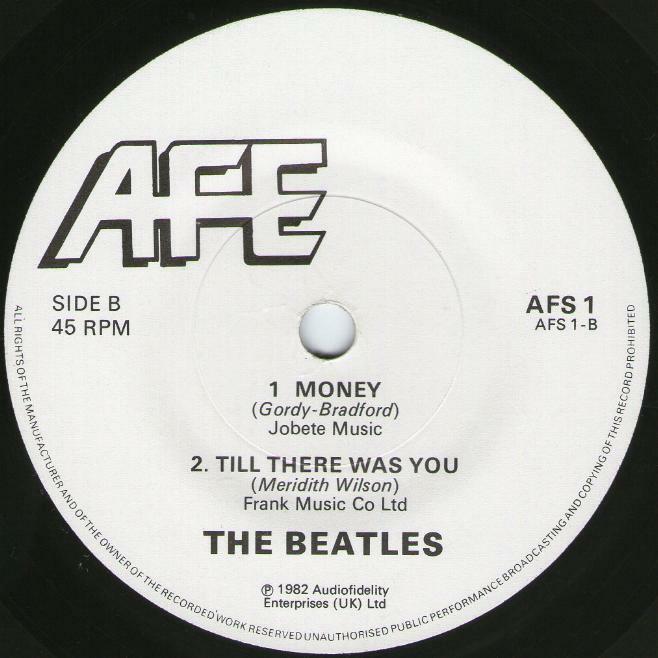 The company’s name was changed to Audio Fidelity Enterprises circa 1971. It purchased Chiaroscuro Records in 1976. The last known releases under the Audio Fidelity label were circa 1984. 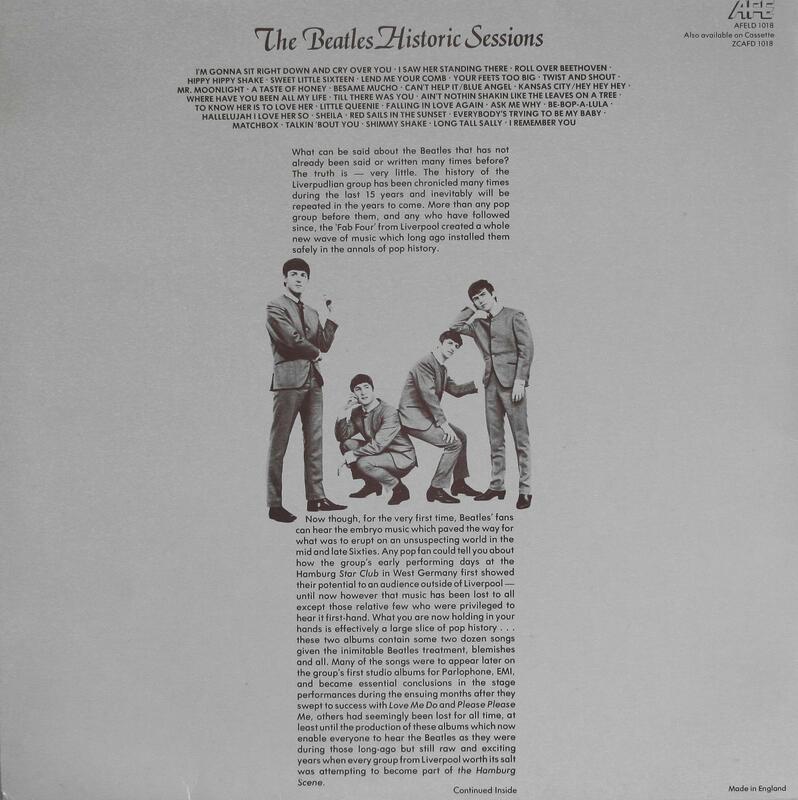 The Beatles Histiric Sessions, 2LP set, Audiofidelity Enterprises Records, AFELP 1018. Album was released on September 25, 1981. Recorded by Ted “Kingsize” Taylor at the Star Club in Hamburg, Germany between December 18 and 31, 1962. 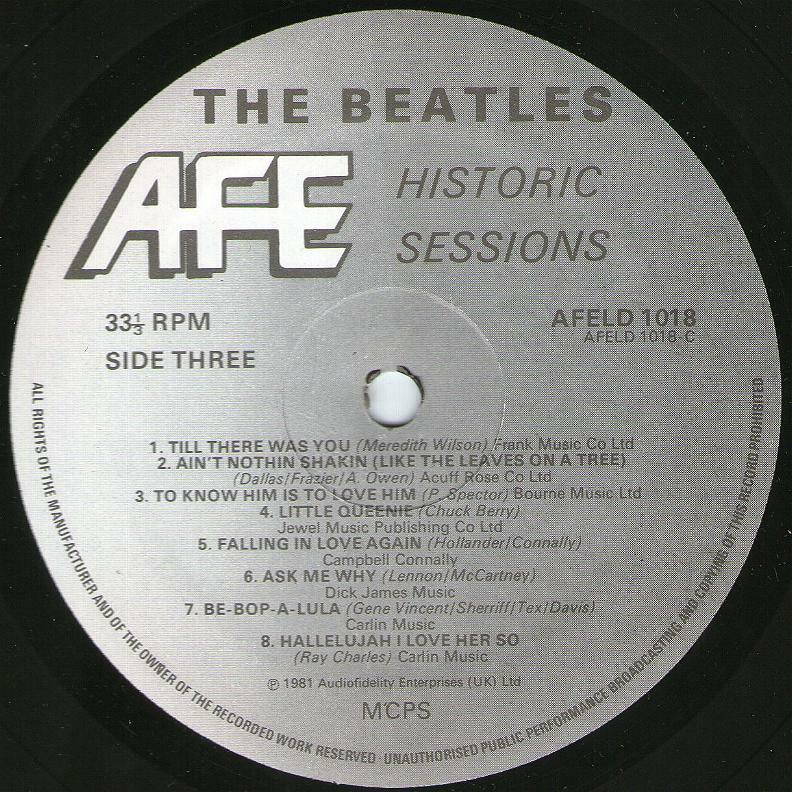 Although listed on some of the album covers, Stu Sutcliffe does not appear on these recordings, he died eight months earlier. It was reported at the time that $50,000 was spent transferring the the original 3 3/4-inches-per-second mono recordings on the professional 16-track tape. With the aid of various filters, equalisers and compressors the recordings were cleaned up. 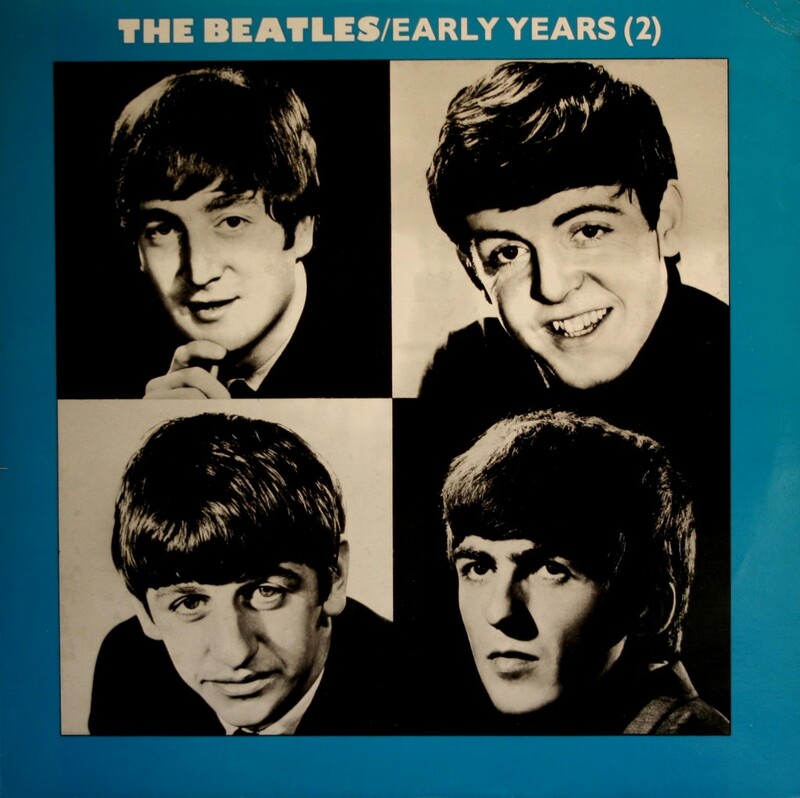 Although they cannot be regarded as high quality, the original mono recording was scarcely that anyway, the overall sound is quite acceptable considering the way they were recorded. 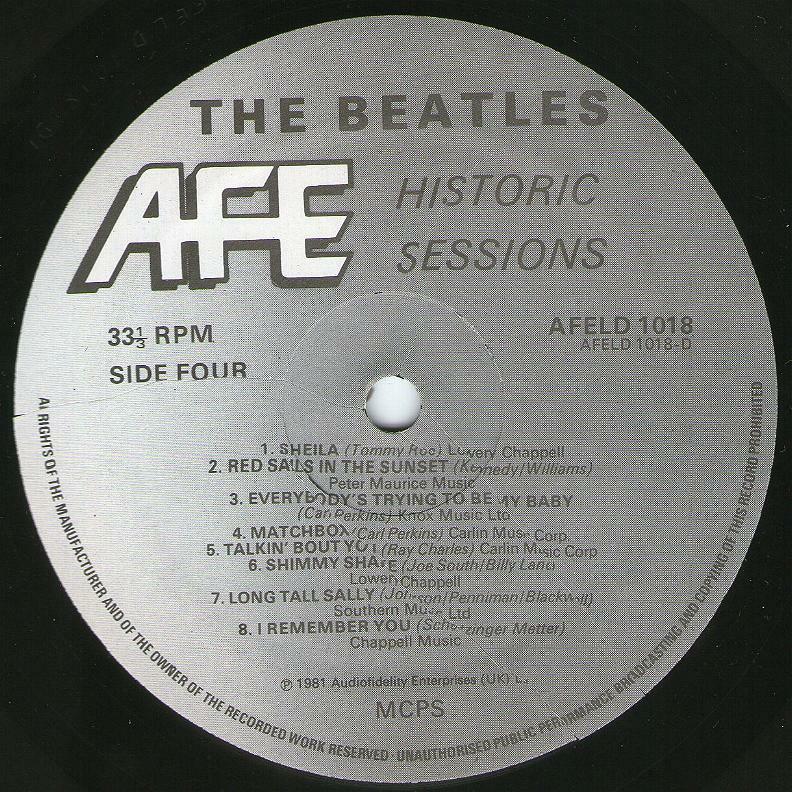 In 1981, AFE Records using all 30 tracks, issued this double album. As the recordings featured here have been, are or will be available from various record companies, this album has been used as a sample release. The album has a gatefold cover with The Beatles’ name extruded on the front side. Matrix numbers: AFELD 1018 A1 / AFELD 1018 B1 / AFELD 1018 C1 / AFELD 1018 D1. 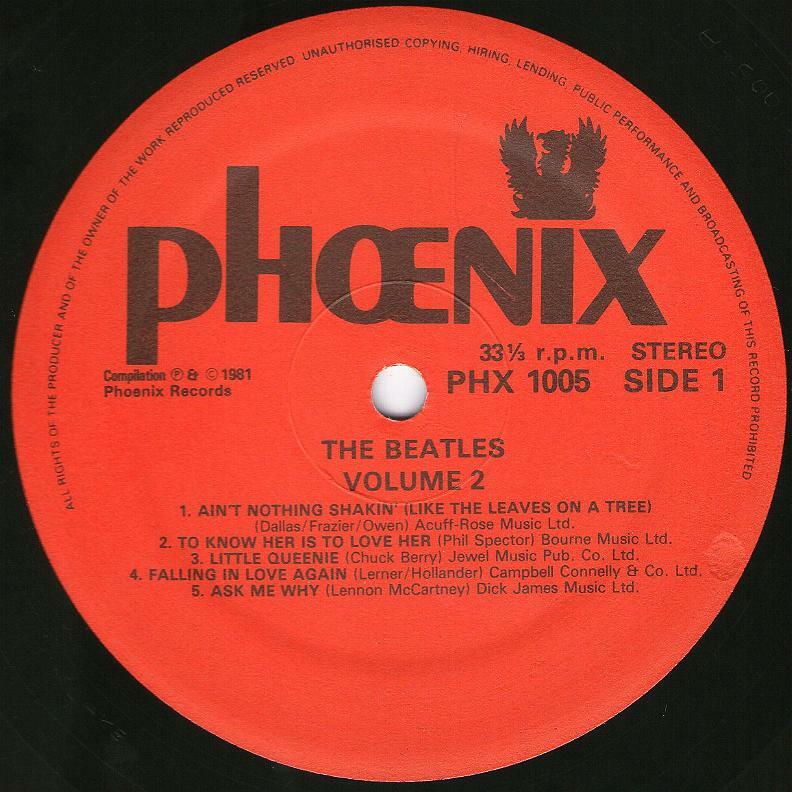 Rare Beatles, Phoenix Records PHX 1011. 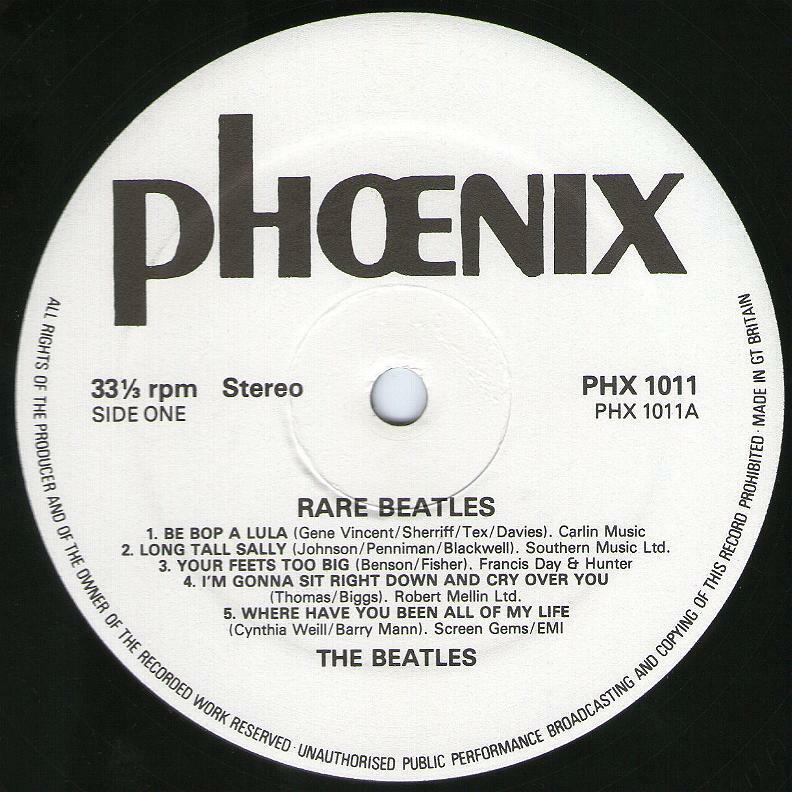 Rare Beatles, Phoenix Records PHX 1011. Release January 22, 1982. 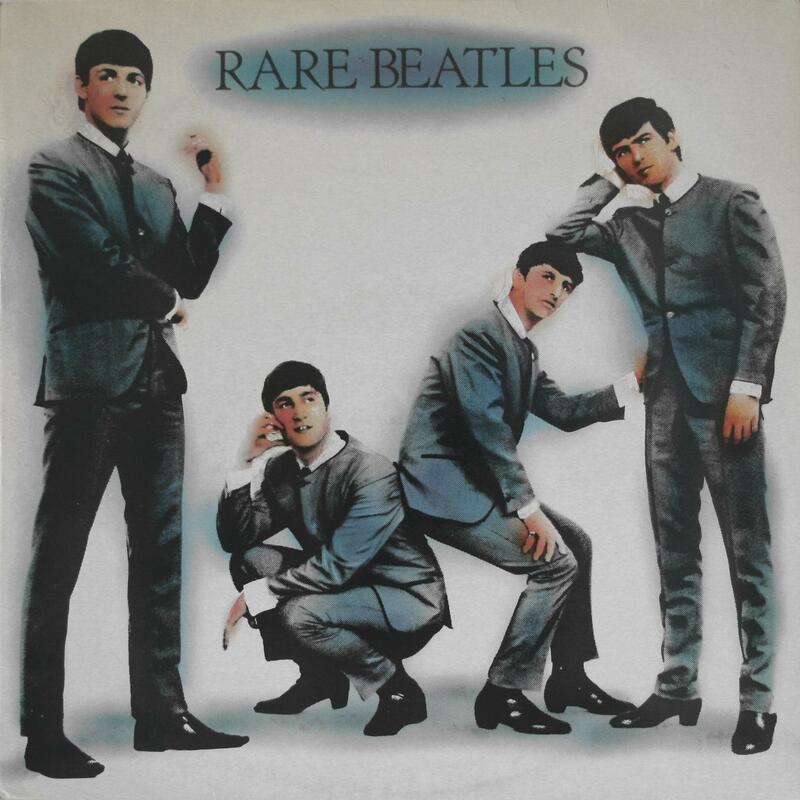 This album include 10 tracks recorded by Ted Taylor at the Star Club in Hamburg, in December 1962. For the cover design was used photo by Dezo Hoffmann. 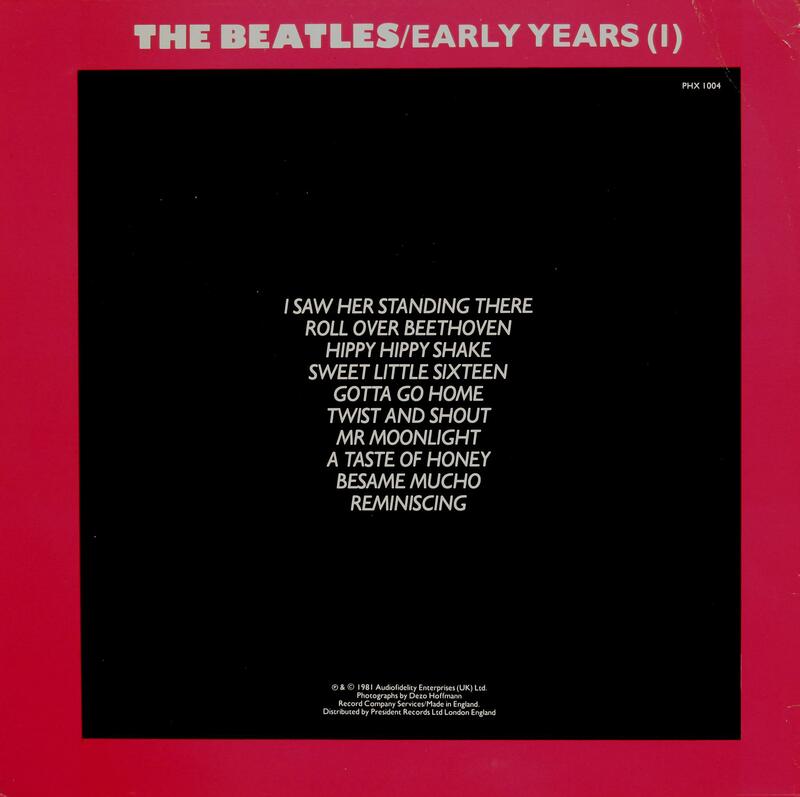 These tracks were not included in the albums of an “Early Years (1)” and “Early Years (2)”. Matrix numbers: Side 1: PHXUK 1011A; Side 2: PHXUK 1011B. The Complete Silver Beatles, AFE Records AFELP 1047. 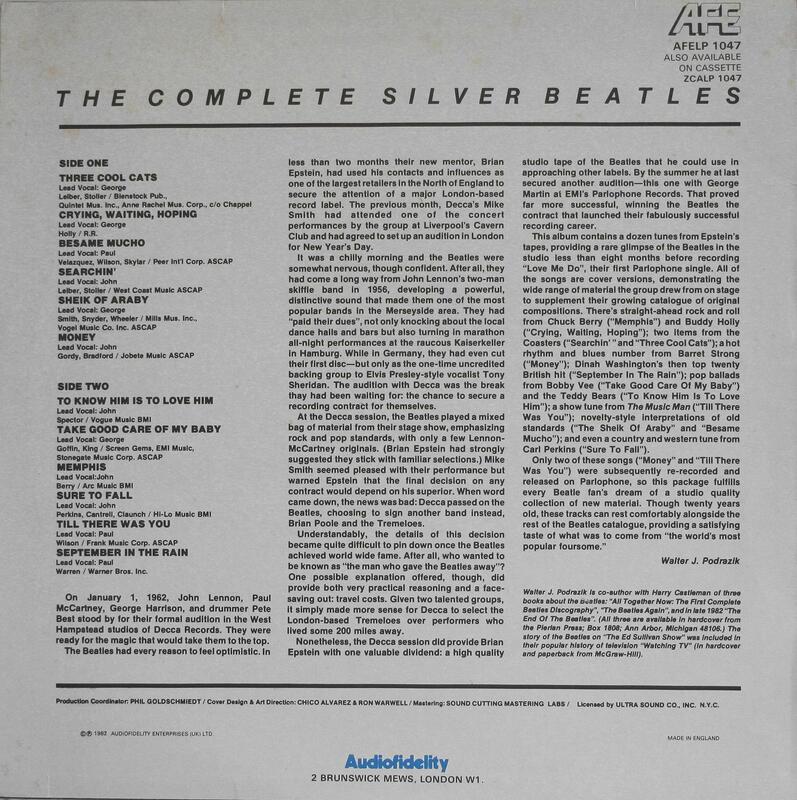 The Complete Silver Beatles, Audiofidelity Enterpises Records, AEFLP 1047. Album was released on September 10, 1982. The album title “The Complete Silver Beatles” is misleading and incorrect; at the time of the Decca audition the group was known simply as The Beatles. This error appears to have been corrected for this 7″ release. This is the first official release of 12 of the 15 songs recorded by The Beatles at their Decca Audition of 1st January 1962. This session was held at the Broadhurst Gardens, West Hampstead studio’s of Decca records in London, less than two miles from Abbey Road! The release of the album in September 1982 and this 7″ single the following month, twenty years after The Beatles entered their first British recording studio, are the first time these historic tapes are officially made available to the public. 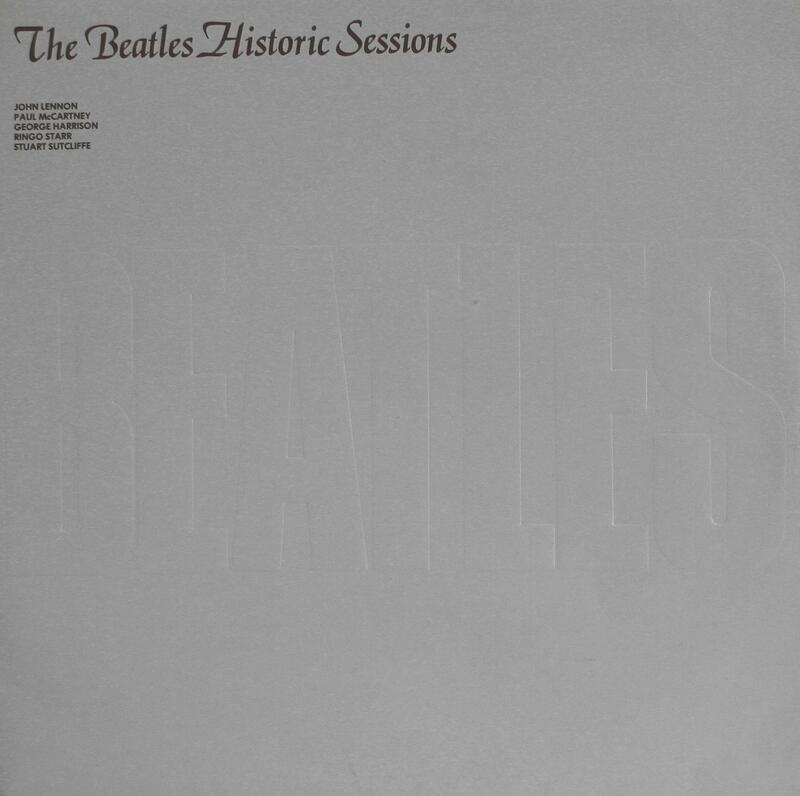 Previously these recordings had only been available on a selection of bootleg albums. In 1995 five of those songs “Searchin'”, “Like Dreamers Do”, “Hello Little Girl”, “Three Cool Cats”, and “The Sheik of Araby” would appear on the double album Anthology 1. Matrix numbers: Side 1: EFELP 1047-A1 / Side 2: EFELP 1047-B1. 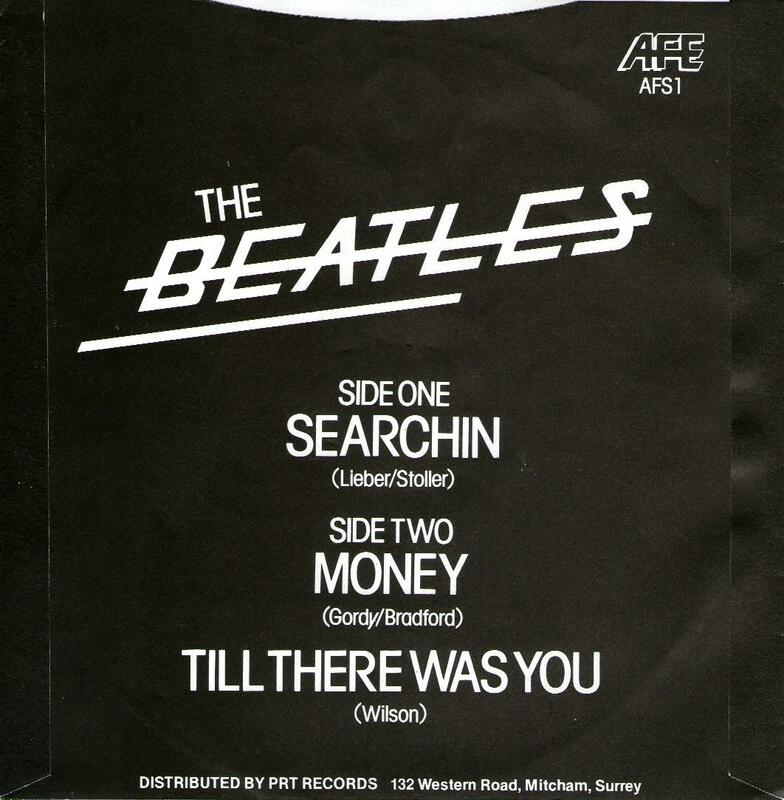 Searchin / Money / Till There Was You, AFS 1. 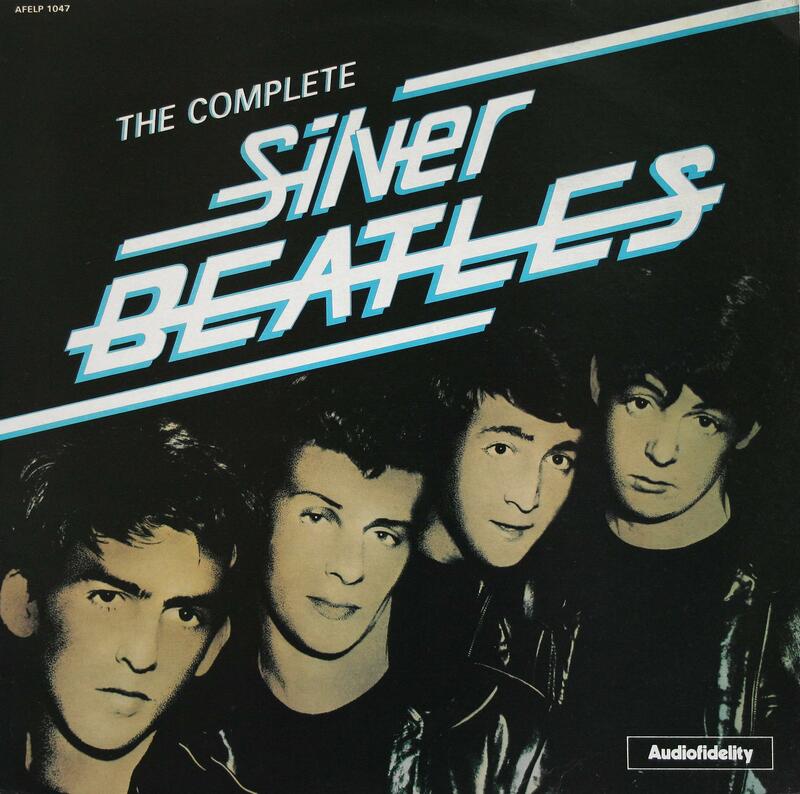 All tracks taken from the album “The Complete Silver Beatles″. 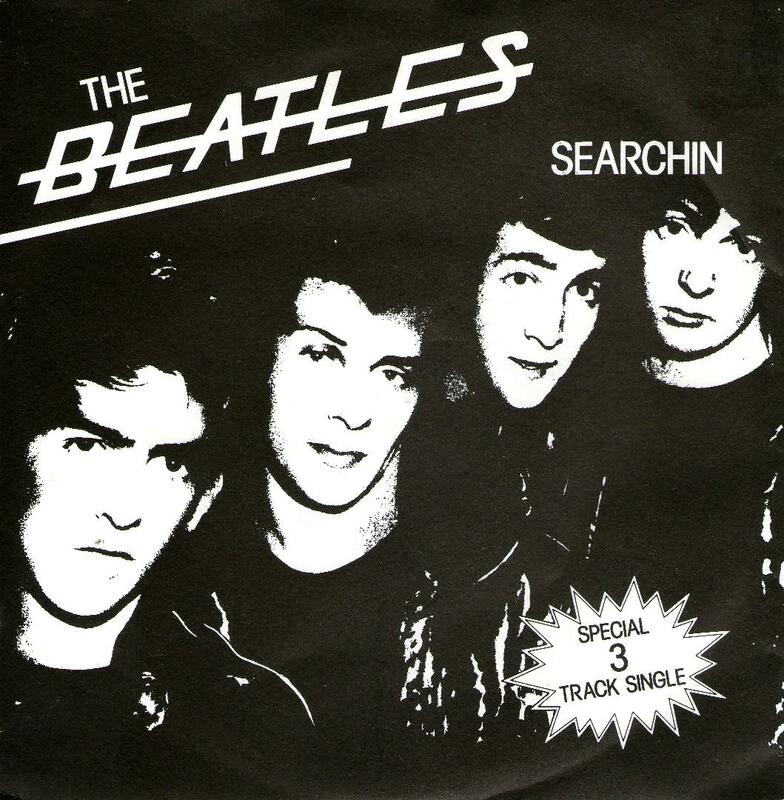 Single was released to promote the album on October 8, 1982. 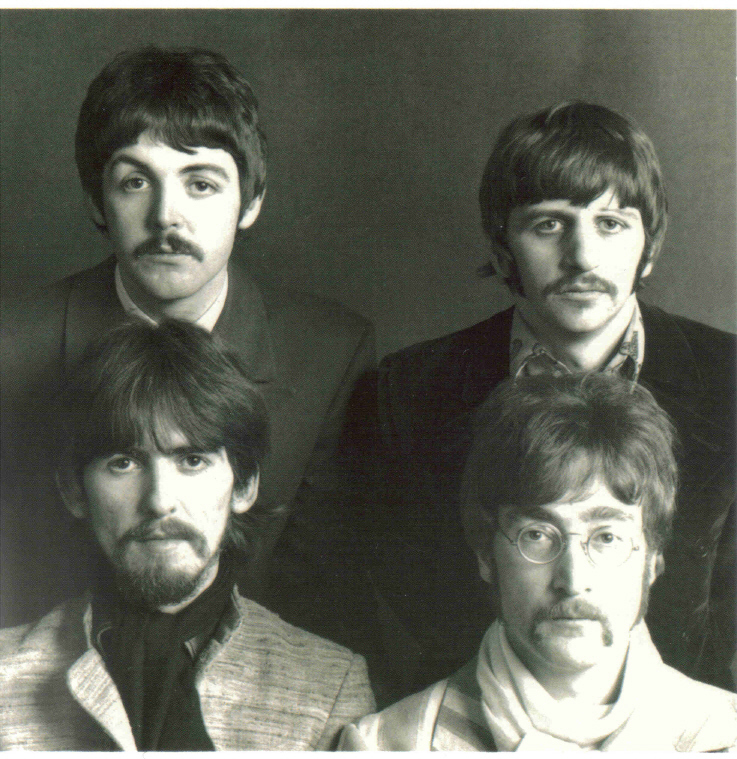 It was released in a original picture sleeve. Matrix numbers: Side 1: ASF1-A1 / ASF1-B1.